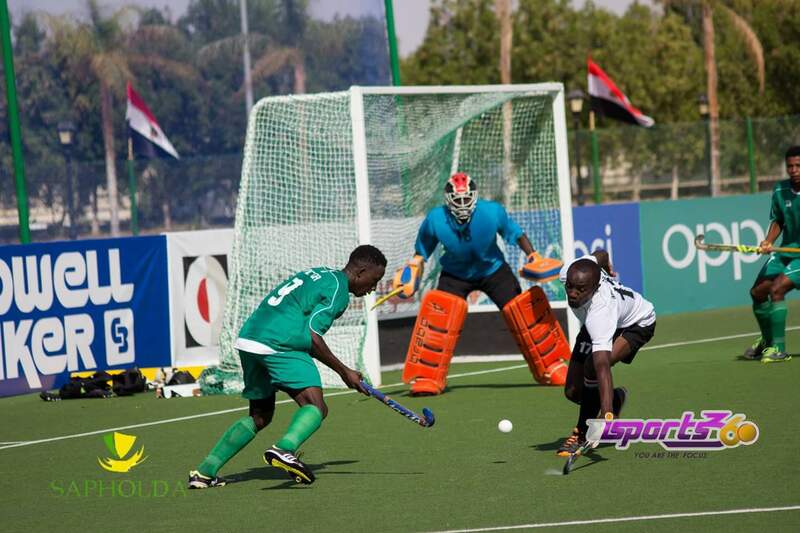 Match day 3 matches of the men category in the Africa Cup of Nations kicked off at 1pm with Kenya and Nigeria battling for supremacy at the Suez Canal Authority Hockey Stadium. The Nigeria men who had lost 2 matches in a row to the two top ranked teams on the continent namely South Africa and Egypt, were determined to amass the maximum 3 points from the Kenyans who they saw as an equal match. The first two quarters saw no goal as both teams were careful to end this match with at least a point. However, the third quarter saw the Nigerians register the first goal of the game courtesy John Micheal in the 39th minute. Onyango restored parity for the Kenyans 5 minutes later. The game continued till the last quarter when Kenya’s Wakhura scored in the 56th minute to put them in the lead. The game ended 2-1 in favour of Kenya. Ghana and South Africa in the second encounter brought nothing other than tension in the atmosphere. The Ghanaians rat-chased the defending champions in a very fierce encounter. South Africa conceded an early goal in the 1st minute from a classical finish courtesy Michael Baiden. The South Africans were quick to level the scoreline in the 8th minute through Ntuli before Paton’s 9th minute goal put them in front. The second quarter had a balanced performance from both teams and neither of them able to score. Ernest Opoku took advantage of a penalty corner awarded Ghana in the 44th minute to level the score. The game continued into the very early minutes of the 4th quarter when Paton scored his 2nd goal of the day to give the Champions an advantage. The game ended 3-2 in favor of South Africa who had a real tough time with the Black Sticks. Host nation Egypt lead the men’s division with South Africa in 2nd. Both teams share the same points but a majority goal difference puts the host ahead of the Champions. Ghana are placed 3rd with Kenya in 4th. Nigeria lie bottom with no point after three games.